Admissions have been suspended at a Bristol nursing home after the Care Quality Commission said residents were not getting safe or appropriate care. 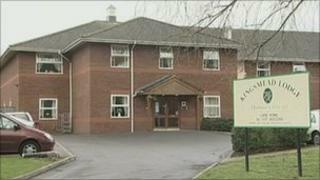 Mimosa Healthcare has been told to take immediate action to improve standards at Kingsmead Lodge in Shirehampton. The company now has seven days to produce plans to show how it intends to improve. A Mimosa Healthcare spokesman said the company apologised for the shortcomings and changes were being made. Care Quality Commission inspectors will now return to the care home unannounced at a later date to check whether the improvements have been made. The company is also responsible for delivering care at Sunnymead Manor in Southmead, Bristol, which was also the subject of complaints last month.